Rust is rotting metal. It spreads quickly, makes your car's frame brittle, unappealing and just awful to boot. Manufacturers do all they can to stop rust from taking hold of your vehicle, but many owners simply can't avoid it. Rust can start in places that are tricky to spot and are often out of eye-shot. One problem is that buyers don't do thorough enough checks when purchasing their new set of wheels. Rust can start in places that are tricky to spot and are often out of eye-shot, or even under new paint. In some cases, a car that's been in an accident may have been made susceptible to rust during the repairing process, whether chipped paint has let water in or less-than-ideal parts have been used as replacements. That's one reason why a CarHistory report is so essential. If you know your potential new purchase has had an unfortunate past, you can look elsewhere and skip the rigour of removing rust. However, if your car already has a few rusty spots, what can you do about it in the meantime? This is the most common type of rust, and is largely a cosmetic problem. Your car's paint may have been chipped by something like a stray stone or broken down by UV light, creating a patch that oxidising agents prayed upon and consequently turning a small section of your car that speckled shade of brown. As the name suggests, this lack of beauty is usually only skin deep, and by sanding down the layer of rust off, using primer and paint to cover it, and buffing the body to perfection, your car will be much better off. Leave your surface rust too long and it will begin to eat into the metal, causing bubbles and more corrosion, leading to scale rust. 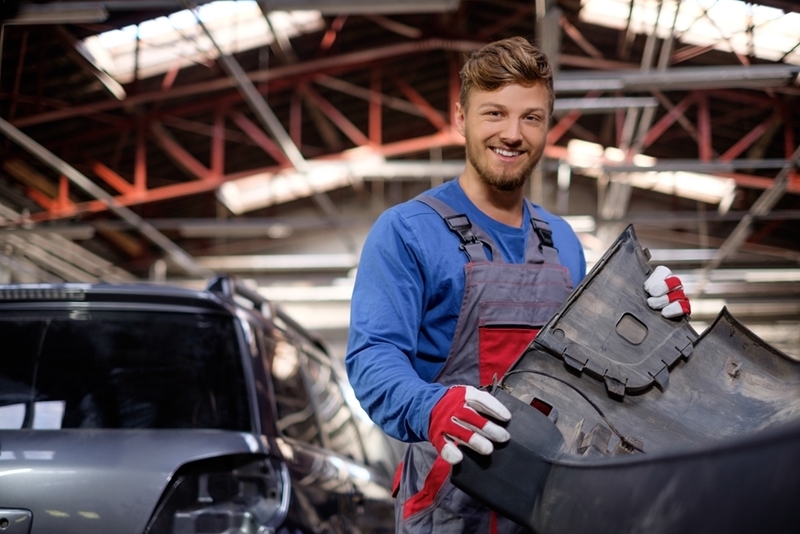 For this, you might need to use a wire brush (as well as the above process) to cut deeper into the body work and get your car back to normal. If the rust has gotten bad enough that the metal flakes away, you'll be left with rust holes. Your best bet here is to get a mechanic to look over the problem, as you'll either need the affected panel replaced or welded shut with a patch panel. Your trusted mechanic should be able to help you with rust on your car. If you're worried about rust, be sure to wash your car thoroughly to remove the salt and grime that comes with driving on Australian roads. Also keep an eye out for any chips in the paint - they should be touched up as quickly as possible as exposed bodywork will rust before long. Don't forget to check the places you'd usually not even think about, like the drain holes along the bottom of the doors. If these are blocked, you might have the makings of a rust problem in a few months' or years' time, so give them a bit of a clean along with the rest of your car.